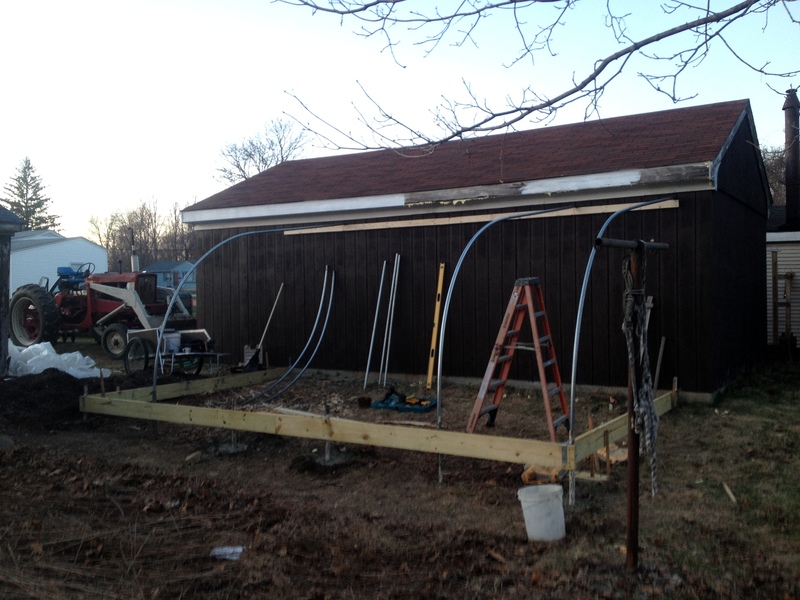 Matt’s been working on finishing up the new lean-to greenhouse. Since this picture was taken, the remaining hoops were installed and one of the end walls is up. Later today we should be getting a load of gravel for the floor. Next we’ll stretch the plastic and begin moving the little plants in there! He’s started the tractor work this week too. And we still need to move the hoophouses, and, of course, planting! Every one of these projects has expenses, and they are all happening at the same time! Five more members by the end of this month will keep us on track through this crazy transition. We look forward to hearing from you!